The Secret Sun: The REAL History of Saint Patrick's Day. 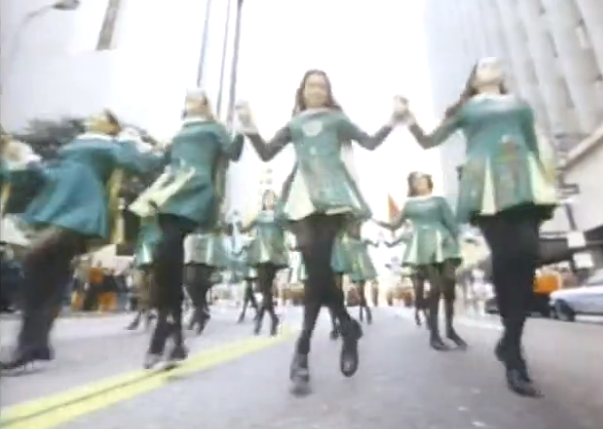 The REAL History of Saint Patrick's Day. 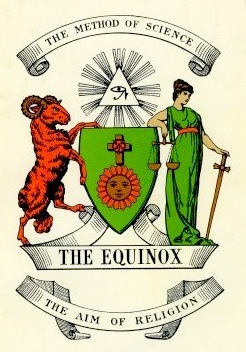 3/17 is also the date of a Masonically-created holiday, St. Patrick’s Day. 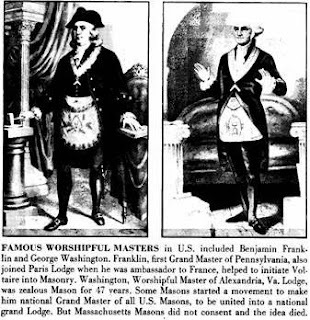 The story has it that the holiday was established by high level Freemason, George Washington, allegedly to reward Irish soldiers in the Continental Army. Their first meeting and dinner to honor St. Patrick was an expression of their Protestant faith as well as their intention to bond with fellow Irish émigrés. Their 1775 meeting included British soldiers of Irish extraction. 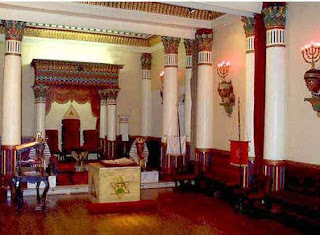 All proceeded, or marched, to the King’s Chapel to hear a sermon devoted to the occasion, and then continued on to a dinner in King Street. British soldiers were still the big show of the first St. Patrick’s Day parade in New York City in 1762. The first celebration in New York City was in 1756, at the Crown and Thistle tavern. Philadelphia held its first St. Patrick’s Day parade in 1771. General George Washington issued a proclamation during the Revolutionary War, declaring March 17, 1780 a holiday for the Continental Army, then stationed in Morristown, New Jersey, in honor of the many soldiers of Irish ancestry and those born in Ireland. It was reported that this was the first holiday granted the troops in two years. Washington’s remark that the proclamation was “as an act of solidarity with the Irish in their fight for independence,” was possibly the origins of St. Patrick’s Day in America as an expression of Irish nationalism as much as Irish heritage or of honoring a Christian saint. St. Patrick's Day is also frequently a time for drinking. It used to be that this tradition was strung out for at least five days, the so-called seachtain na Gaeilage or "Irish week." That may stem from Roman times, when March 17 started the festival of the Bacchanalia, a celebration to the deity Bacchus, to whom wine was sacred. In olden years long gone by, the Irish drank mead, made from fermented honey. You might do better today with a stout Guinness, preferably dyed green. The festivals occurred on three days of the year in the grove of Simila near the Aventine Hill, on March 16 and March 17. Later, admission to the rites was extended to men and celebrations took place five times a month. According to Livy, the extension happened in an era when the leader of the Bacchus cult was Paculla Annia - though it is now believed that some men had participated before that. Historians today don’t put a lot of stock in Livy’s overheated accounts of the Bacchanalia, and generally write them off as politically motivated hysteria. His story of a massive cult that sprung up out of nowhere and took the country by storm is an historical fiction, meant to titliate his audience. The Bacchic cult had been around -and been tolerated- for some time in Italy, and many believe that the witchhunt was whipped up more for political reasons than moral or criminal ones. But Romans were known to take their boozing and screwing to extremes the more sober Greeks would not, so it’s not hard to imagine these blow-outs getting out of hand. But since the most serious charge leveled against the Bacchanalia was of conspiracy against the Republic, it’s certainly possible the moral charges were simply propaganda meant to turn the people against the Mysteries. The fear among the elite was that “another people were about to arise” and supplant the existing order. The greatest boogieman to the Roman aristocracy was the Demogogue, meaning anyone who could rally women, slaves and other non-citizens against the landowning families who controlled the Senate. Given the incredible socioconomic inequities even in the fabled Republic, rebellion was always a clear and present danger that could be whipped up at any time. But contrary to Livy, the Bacchanalia weren’t prohibited and its shrines weren’t destroyed but rather tightly regulated and controlled by law. And though they never again reached the fever pitch of the Republican era, the Bacchanalia would be revived by Julius Caesar and Mark Antony. 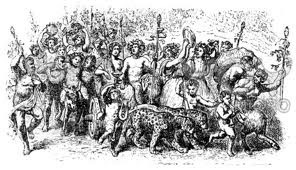 Renamed the Liberalia, the new Bacchic holiday would be a more family-oriented kind of street fair, with honey cakes and sweet meats replacing boozing and screwing. Various rituals and entertainments made it a very popular holiday. The boozing and screwing snuck back in along the way, but in a less scandalous fashion. In Egypt, beer was regarded as food. 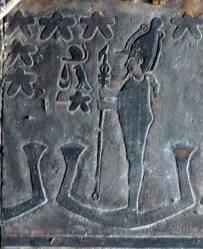 In fact, the old Egyptian hieroglyph for "meal" was a compound of those for "bread" and "beer". This "bread-beer meal" plus a few onions and some dried fish was the standard diet of the common people along the Nile at the time. Beer came in eight different types in Egypt. Most were made from barley, some from emmer, and many were flavored with ginger or honey. The best beers were brewed to a color as red as human blood. The Egyptians distinguished between the different beers by their alcoholic strength and dominant flavor. 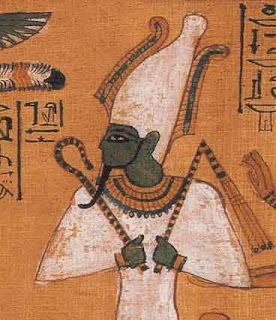 None other than the god of the dead, Osiris, was hailed as the guardian of beer, because to him grain - both emmer and barley - were sacred. The Egyptians believed that grain had sprung spontaneously from Osiris' mummy, as a gift to mankind and as a symbol of life after death. This was sufficient justification for the god-like pharaohs to turn brewing into a state monopoly and strictly license brewing rights to entrepreneurs and priests. 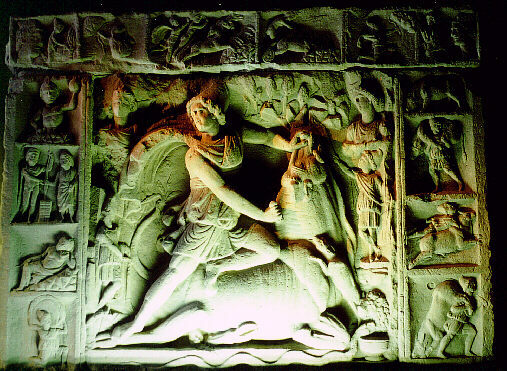 Many temples eventually opened their own breweries and pubs, all in the service of the gods. The port of Pelusium at the mouth of the Nile became a large brewing center, and trading in beer became big business. 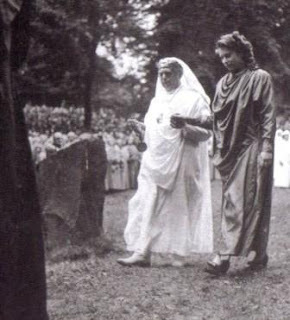 ... religion of the Druids, as before said, was the same as the religion of the ancient Egyptians. The priests of Egypt were the professors and teachers of science, and were styled priests of Heliopolis, that is, of the City of the Sun. The Druids in Europe, who were the same order of men, have their name from the Teutonic or ancient German language; the German being anciently called Teutones. The word Druid signifies a wise man. In Persia they were called Magi, which signifies the same thing. St. Patrick himself was believed to have driven the Druids of out of Ireland, but in fact druidry was merely incorporated into Celtic Christianity, which was distinct from other varieties and would remain so until forcibly changed on orders from Rome. This universal illumination of the houses on one night of the year suggests that the festival may have been a commemoration not merely of the dead Osiris but of the dead in general, in other words, that it may have been a night of All Souls. For it is a widespread belief that the souls of the dead revisit their old homes on one night of the year; and on that solemn occasion people prepare for the reception of the ghosts by laying out food for them to eat, and lighting lamps to guide them on their dark road from and to the grave. Herodotus, who briefly describes the festival, omits to mention its date, but we can determine it with some probability from other sources. 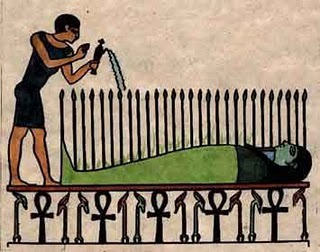 Thus Plutarch tells us that Osiris was murdered on the seventeenth of the month Athyr, and that the Egyptians accordingly observed mournful rites for four days from the seventeenth of Athyr. And what of the corned beef and cabbage? 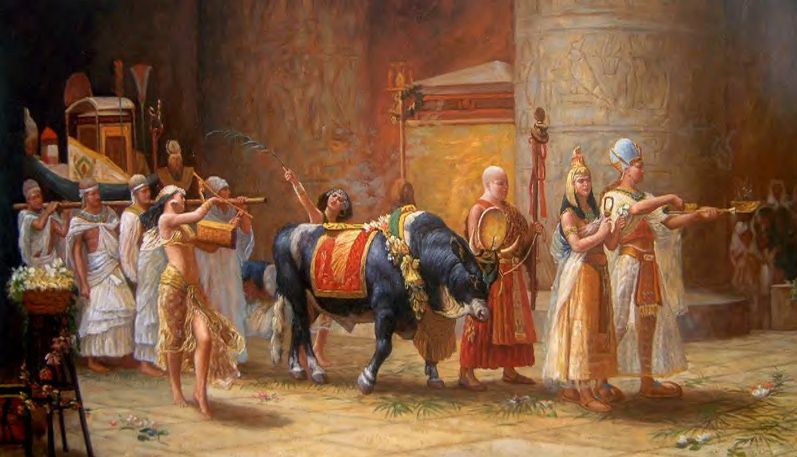 In late antiquity the Apis bull was identified with Osiris. The Apis bull would be sacrificed and eaten in ritual feasts. Cabbage is grown in the winter months in Egypt and was used to control intoxication at feasts. So it's official: all of our modern holidays in America are simply covert repackagings of ancient pagan festivals and the increasingly popular St. Patrick's Day is no different. The Church took the Bacchanalia away from the Irish and replaced it with a boring religious holiday and the old-school Freemasons used that to bring the Bacchanalia back, which we now understand traces back to Osiris. And Osiris- who came from and returned to the stars- brings us back to the ancient astronauts, which the later adaptations like Bacchus do not. Welcome to the New Atlantis. Now keep this all a secret- I don't want you to be considered a "woo woo" (which is Skepdickish for "thought criminal") by the New Inquisition. The guardians of orthodoxy tend to get especially irritable when you tear them away from their disco fries and kiddiefap.